Digital marketing and data analytics are two of the hottest professions to be in. The industry is filled with opportunity and the opportunities span across wide variety of applications. With fast growth, there is always a question of how to either become a digital marketing leader or how to become a digital marketer. I think both are valid questions and the outcome depends on your career goals and where we you are currently. In this podcast Jeremy and I talk about our experiences as digital marketers and analytics professionals. We share all the knowledge you will need to either advance your career or become a new digital marketing professional. Both Jeremy and I started with a different career track and are now successful leaders in the digital and analytics domain. What is the current opportunity and the key metrics driving digital marketing. What are some of the top industry’s for a digital marketing career seeker. What are the top skill set required to become a digital marketer or anaytics professional. Where should someone start and how to progress your career all the way to people leadership. Steps you can take today to become a digital marketing professional. Jeremy Roberts: Thank you for joining AnalyticsToday. The podcast series that focuses on big data in analytics, digital marketing, and the latest trends in the digital world. I am your co-host Jeremy Roberts, and with me is my co-host Sameer Khan. Hey, Sameer. Jeremy Roberts: How are you doing? Jeremy Roberts: It’s a fun time of the year. It’s getting close to the holiday season. Sameer Khan: I know. Yeah, Thanksgiving is coming so quickly. I can imagine. Jeremy Roberts: Exactly. I think what’s more interesting than just really the holiday season coming around, it’s actually a big market for the job season. Jeremy Roberts: This is really one of those times of the year where it’s a transition, where a lot of people start looking for new careers to start the new year. People really are hitting up LinkedIn and all of the different job sites. Sameer Khan: Yeah, that’s a good point. Especially from a new career standpoint or switching careers, I think this is a great time and very well in line with when companies start hiring. Most of the budgets are cut, they’re reduced by the end of the year, but when the new year comes a lot of people get new budgets, and there are new hopes, new plans, and strategies that people want to pursue and put in place. I agree with you, this is a great time of the year to start looking for a digital marketing career, if that’s what you want in the coming year and that’s what you want to become as a professional. Jeremy Roberts: I agree and, well, “Ding, ding ding.” That is the topic of the day. We are going to be talking about digital marketing careers. How to get into them, the nuances of it, the topic industry skills sets and everything. If you look at the trending of digital marketers over the years, the terms digital marketer really wasn’t around ten years ago. This is 2015. You look at 2005, 2006, that was the spawn of Facebook. Back then, there really wasn’t digital marketing, it was just a segment marketer or a demand gen marketer. Learning how to digital, I remember that’s when you and I really started to understand what is digital marketing. Sameer Khan: Exactly, and that’s a great point because if you think about how demand generation is shaped with this industry of digital marketing coming through … First off, it has created so many different multi-billion dollar organizational structures. You look at [inaudible [00:02:57]], [inaudible [00:02:59]], Adobes, IBMs, all of these playing in a role in the digital marketing industry now than they were doing before. The second part is, today when we talk about demand generation it is all digital. Sameer Khan: It’s primarily driven by digital. Nobody used to think like, “Hey, demand generation at some point in time is going to become so heavily digital focused,” that today it’s like, “Either digital, or either non-digital,” but demand generation has to have a good chunk of digital marketing going in there, whereas ten years ago there was nothing like that. Jeremy Roberts: Yeah, eMarketer is great. Sameer Khan: Yeah, absolutely. One of the studies they did which was two months ago, so this is a relatively very fresh and good data, what it shows is that the media spend … In general, if you look at all media spent in advertising and marketing, it’s growing at a rate of six percent overall per year. Now what’s a great part about that is, within that media span, the fastest growing segment is the digital span, which is growing fifteen percent year over year since 2012 and is expected to reach an eighty-two billion dollar market by 2018, compared to the total media spent which is roughly seven hundred billion dollars. This exponential growth in digital, digital media, digital marketing, advertising, definitely tells us how this industry is going to change relatively quicker. One of the crucial segments among all of this is the mobile space. If you look at the mobile ad space, we’re seeing triple digit growth in the mobile ad space, which, we can all imagine with all of these devices that we’re carrying, it’s going to be a phenomenal area for everyone on digital and especially the mobile side. Jeremy Roberts: Let me give a point of clarification here, just as a side note for some people. When you hear that the digital marketing mobile ad space is growing, this ad space does not cannibalize the desktop mobile ad space. It is completely separate. Sameer Khan: Yeah, from a span perspective it is separate, although there is going to overlap. When you think about companies trying to figure out what is going to be the best return for them and how they can get the customers they want, and if the customer is primarily mobile, then they’re going to very heavy on mobile. There is going to be some level of segmentation there, but both industries, the desktop segment and mobile segment are, from a digital standpoint, growing, but mobile is definitely growing a lot faster. Jeremy Roberts: Agreed. Just one point of contention there is that we’re not saying that desktop is being cannibalized by mobile. They’re exclusive, they’re both growing, but mobile is growing at a faster rate. Sameer Khan: Right, and as a matter of fact desktop is going to start shrinking because we’re going to have more devices, and we’re already seeing some of that. It’s kind of leveled, but it’s going to start shrinking pretty soon. Jeremy Roberts: Yeah. On a side note there about the first question, the growth of the digital industry, I’m thinking back to your past and my past when we used to work together. I remember when we were running Ad Spend and we were doing analytics on our different marketing channels, and I remember managing twenty to thirty different print vendors. There was all of the print magazines out there that we had to reach out to to buy ad space and so on, and I think the venture into e-mail and to PPC was that first venture into the growth, the quick growth, of digital marketing. I saw how that span shifted, and that was really a change around 2009 into 2010. Sameer Khan: Yeah. The early days of … Although, search marketing has been there for quite some time and we have dabbled into search marketing as something that we want to do in addition to everything else we’re doing, but more professionally, and thinking about as an industry, as a big segment of marketing, that’s when I would say the latter part of 2000 was the area where we all started focusing very heavily on digital. Jeremy Roberts: Yeah, and I think a lot of it had to do with what we could track and what we couldn’t track. 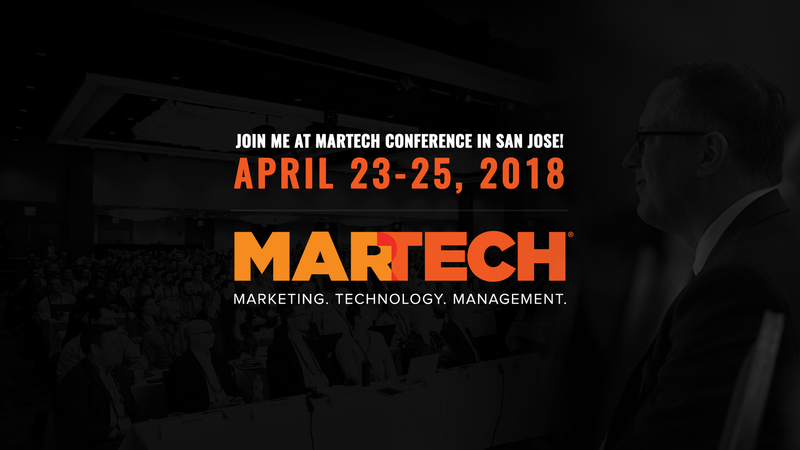 I think there were times that you and I sat in conference rooms, sitting there clueless, trying to figure out, “How do we track something on print?” How do you input that into a Omniture, Coremetrics, Google Analytics, and track that?” Because there was that inability to track, I think that really spawned the growth of the digital industry, because marketers wanted to find that return on an investment and if you couldn’t track it you just didn’t want to spend on it. Sameer Khan: What you’re bring up is a very good point from an Omnichannel perspective, because exactly like what you were saying, today we’re living in an Omnichannel world. It’s not just about, “Hey, people are going to be on desktop, or mobile, or an event, or some type of activity that’s offline or maybe in a store.” I think today that’s the challenge that we’re all facing. How do we connect the dots between all of the things that our customers are doing across a journey, and how do we make sense out of it? Sameer Khan: For a digital marketer, the general belief is digital marketing is going to be tied to retail and travel because are the two specific areas that we all are accustomed to. We know that we buy a lot, we buy our travel online, everything is done online on a retail segment, like you buy almost almost of the products that you’re buying today. Amazon is giving tons of other companies a run for their money because they have very sophisticated digital [inaudible [00:09:50]], but that’s not entirely true, that if you have to be in digital you either be in retail or travel. Digital industry spans across multitudes of different segments. If you think about finance, automotive, telecom, travel, CPG, all of these areas that people have not even thought about, they’re going to eventually adopt digital so quickly. Some of the percentage distribution … If you look at retail it certainly is a bulk of the digital Ad Spend, which is twenty-three percent, but finance is not far behind, it’s twelve percent of all of the span. Automotive, twelve percent. Telecommunications, eleven percent. All of these different types of industries … Computing products … Technology, seven percent. Everyone is starting to invest in digital. For a digital marketing profession seeker, this is the right time, because as these industries are moving from traditional brick and mortar operated businesses into cloud and digital space, it’s going to create a lot more opportunities. Jeremy Roberts: I completely agree. As the digital marketing arena grows, it’s going to, in my mind, creep into every industry. It’s going to be one of those shocking things to where you’re going to have the need for a digital marketer in almost every industry out there. Where as first you thought, “No, it’s not really needed,” you need other types of marketers. I really think, in a digital world, the extreme growth of mobile, the extreme growth of everything online, digital marketers will be needed in almost all industries. Sameer Khan: It totally makes sense. Jeremy Roberts: Let’s get into the next one. What are some of the skill set requirements to become a digital marketer? I think, before we even answer this, there’s a big point of confusing out there about what really is the role of a digital marketer. Some people say, “A digital marketer is only stuff that’s online. It has nothing to do with print,” but I also think it does have to do with print. Some people say, “Digital marketing is only for people who have an e-commerce website.” I don’t think it’s that specific. I think the role of a digital marketer is much broader than that. How would you define that? Sameer Khan: Yeah, speaking to your point, I definitely think from an e-commerce standpoint that’s the general consensus. Now, we have been in so many different roles … Even now, we’re not necessarily focusing on commerce, right? Now, getting into more deep diving into data has become a big profession in digital marketing. Business analytics, mobile marketing management, mobile ad development, web marketing manager, marketing operations person, product marketing, PR, affiliate marketing … There are so many different things a person can do inside of the digital marketing role that they’re not tied to just doing one thing. They can come in, and have some type of expertise to get in the door and try to analyze, but I think the most important thing for the person is to see what their core skill sets are, if they are more data driven, if they are more into analytics, then move onto that direction of marketing operations or marketing technologies and data operations, versus people who are more focused on people management, people leadership skill sets, they need to figure out how they can get into the door and start figuring out how they can get an opportunity to grow their team. Another area is campaign management. For people who have been good program managers or people who have a good project management skill set, they can come in and run the campaign management role and drive that part of … It is a completely open field. You just need to figure out what your career goals and aspirations are and where you want to take it. We are here. We want more and more to come inside digital marketing so we can build this industry and grow it the way it is supposed to grow. Jeremy Roberts: Even to add to that, it’s not the specialization of a single channel, exactly as you’re saying. Because you’re great at paid search, because you’re Google certified for Ad Words and all of this stuff, it doesn’t make you … It makes you a specialized digital marketer, but it doesn’t make you truly, an overall digital marketer. Let’s say you’re somebody that understand the technical side of coding. You understand HTML, and so on, and you have experience with user experience design. That is one element of digital marketing. I think today’s digital marketer, the skill sets is you need to know a little bit about everything. You need to know … Of course the specializations as you’re saying Sameer … Focus on either analytics, campaigns, e-commerce, channel management, whatever have you, but then again, you need to know about how everything works. As a successful digital marketer, the true skill sets is try out a little bit of everything, dabble in a little bit of everything. Once you feel like you’ve successfully managed multiple channels, multiple aspects of marketing, from operations to analytics, to design and campaigns, then you truly become what they call, “The unicorn digital marketer,” that sought out digital marketer that everybody wants to have because you’re so dangerous that you know a little bit about everything and you’re there to make the company as much money as possible. Sameer Khan: That’s a great point that you brought up. From a career standpoint, from a career growth standpoint, especially for those folks are already in digital marketing, and maybe they’re in social media, maybe they’re doing some search marketing, and maybe they’re doing e-mail marketing or marketing automization, I think it’s extremely important that they need to start developing a cross-functional skill set within the digital marketing segment, so then that takes them to the next evolution of their role. Jeremy Roberts: Let me give you an example with that, and here’s a real world example. I was recently working at another company with a team, and within my team, the shared services marketing team, I had somebody that managed prints, somebody that managed e-mail affiliates, and so on. What I remember speaking to them about was, to the person that ran the e-mail marketing, I was saying, “This is great information. I see you truly as the expert for e-mail marketing.” I think where she had a lot of areas to work on was really how the things that she did, the campaigns that she ran, and the activities and the decisions she made with her e-mail marketing campaigns, how they effected everything else. Here’s an example of that. When you look at it, search and e-mail are usually the top of the first interactions that a costumer has with a brand. Within that e-mail, you have elements of content marketing, you have elements of social, you have elements of campaign, and you have elements of the website. For instance, social marketing. You’ll have links to the social websites, so that means that you have to understand how you present, within that e-mail, the social elements of your marketing activities. They need to be replicated on your social sites, so you need to understand how social works. The content, how you present the content, needs to have that similar content replicated, not verbatim, but replicated as the next step in the learning process or the funnel on the website if they’re going to click to the website, or they’re going to click through on a mobile device, or they’re going to click through to a piece of content to read as a gated [inaudible [00:18:45]] form or something. This e-mail marketer, the way for her to really expand her role, yes, be an expert in your channel, but also know how your channel effects all of the channels and how it leads into other channels, because once you understand that, you truly become a fantastic digital marketer that everybody wants to work with. Sameer Khan: Yeah, it totally makes sense. Jeremy Roberts: With that, let’s talk about this one. Where do you start? Let me break this out into two questions for you. Let’s start with the first one. If you are fresh out of college, you have an interest in digital marketing … I’m not saying you just want to do social media because you’re really good at Facebook or you’re on Facebook 24 hours a day, which is probably not good for your health, or Pinterest, or Twitter tweeting ten-thousand times a day, whatever … Where should you start? If you’re getting out college, what do you do? How do you express interest? How do you find what you want? Sameer Khan: Yeah, I think that question latches into what you said, the last thing in the previous discussion that we’re having on this topic, was in order for the person to start, they need to get their hands on a variety of different things. A very simple thing I recommend is having your website and a blog, and install free Google Analytics on top of it. See what’s going on with your website. Of course you have to do a little bit of marketing so you can drive a little bit of traffic, but start with simple processes. Have your own website, set up Analytics, drive some PPC traffic, and see what happens. Look at some of the metrics, look at some of the data. Get used to technical jargon, get used to seeing what social media’s role is in all of us. Get used to seeing what search marketing and e-mail marketing role is this. Start with that small way and see what digital marketing can do for you. For folks who want to get inside of the data side of digital … Again, that’s a completely new field, and we’re passionate about data, which I think is going really fast, even faster than the digital media [inaudible [00:22:06]] … Is the analytic space, so if you want to get into that start participating in some of the analytics forums. Go in the Google Analytics forum, go on the IBM Data Hub, go onto sites like Kaggle where they’re competing, where data scientists are actually competing, and see what they’re doing, see what’s the thought processes, see how they’re approaching, see what are the different languages, and what are the different schematics and projects that they’re using and competing on and how people are looking at data today in a data driven world, and participate in these competitions. Jeremy Roberts: It makes sense. With that too, it’s not being afraid to start at the bottom. Some people think, “I want to be this grandiose digital marketer.” Sometimes you’ve got to start with the jobs that aren’t as exciting. You’ve got to understand tactically how everything works. You need to be able to work every tool, every product, software out there, plus you have to understand the strategic side of it. That means you have to get your hands dirty. You have to be able to wear multiple hats. A real digital marketer is somebody who says, “I can have a great conversation,” and as Sameer said, know the jargon, know the lingo, go memorize the lingo. It’s going to be a memorization test. Go memorize it. The last thing you want to do is to be caught in a conversation where you have no idea what this language is that they’re talking about in the digital conversation. Go out there, learn the strategic points of view. Create your own strategic points of view. Learn how the the funnels work. Then, after that, get your hands dirty. Go in there and learn how to use the tools. I think that’s the most important thing. Let’s take the second part of that question. Let’s say I’m a season marketer, and I haven’t really been dabbling into digital media or digital marketing activities, but I’m a little bit scared of it, and I come from an old school marketing background where I’ve been doing print and a lot of these non-digital things for years, and my company is telling me that I need a transition, how do I transition? Sameer Khan: The approach here is going to be very similar. The great part is, if you have already been in marketing, you understand some of the dynamics, you understand some of the theories behind how a campaign should run, what’s the end goal, how are you going to drive revenue, what are some of the key metrics such as cost per lead, cost per acquisition. The fundamentals is still the same, the reason why we’re using digital, it’s because every single one of our customers are using digital media today. All of your learning from your traditional campaign approach is going to translate into the digital world. Now, there’s going to be a lot of new technologies that you’re going to run into, because the digital world today, marketing specifically, is driven so much by technology. I was reading this article printed by [the chief marktech.com? [00:24:00]], and he was talking about how there has been a significant growth in the technology in the last few years. Today, there are almost about 2,000 marketing technology companies on the planet. It has doubled in the last few years. For a traditional marketer, it is very important to not only understand the dynamics of the digital industry, but also get their hands on these digital marketing technologies, which is pretty much going to run most of the business. Of course, there’s a people component and all of the good stuff, but technology plays a very big part when it comes to the digital industry, so it’s very important for anyone coming from traditional marketing to start thinking in that direction, start playing with some of these technologies such as analytics technologies, such as marketing, social media management technologies, such as campaign management technologies, dash boarding technologies, and get their hands on as many as possible, and start seeing what they find interesting and go in that direction. Jeremy Roberts: Good answer. I think that even comes into our last question. There is going to be multiple approaches. Everybody is going to have a different approach, but I think this is a big one. How does a digital marketing career progress? Let’s just start from infancy. Let’s go into more detail here. Let’s say you’re a college student, you get the opportunity to be, let’s say, an e-mail marketing specialist. Your job is to load the HTML and the text e-mails into the ESP and push this out. How do you get started? Sameer Khan: We can give a lot of examples, but a personal example would be the best one. I can tell you how I got started to where I am. Definitely feel free to add what you think. For me, I came from a technology background. I started as a network engineer. I used to manage and look after the network, but when I started dabbling into some of the marketing and sales side of things, what fascinated me was the amazing spectrum of search engine marketing and the analytics side of things. When I started looking into, “What’s Google Analytics? What does search marketing do?” I slowly invested my time in it, kind of learned the domain from an expertise standpoint, and then when I started getting these opportunities to work on search marketing and analytics, I found the other opportunities because I had a very keen desire and interest in data itself. When I started looking into data, I found a different way to do the things in that organization the people were already doing. Then, I started looking into e-mail marketing. Then, I started looking into social media marketing. That’s how I started getting my hands on all of these different marketing segments. At the same time, I found very fascinating the concept of managing people and working with people. For me, it kind of aligned very well … I already had my hands and an understanding of multitude soft digital technologies, and at the same time, working with people, and trying to understand and drive their desires and their passion to move forward in life, that gave me an opportunity to continue up the ladder on a more and more senior role. That was also my inspiration to continue on that path as I progressed. I think that’s a good way to do it. There’s not one particular way that you can [inaudible [00:28:33]]. You and I, we have worked in product marketing as well, so we have kind of expanded our domain. To your earlier point, we are not limited to search marketing, we’re not limited to e-mail marketing. We have ventured into multitudes of different areas and got our hands on it, and worked with a different variety of people that gave us the opportunity to step up our game and start thinking much more broadly when it comes to marketing. Jeremy Roberts: I think that’s the big one. It’s getting that opportunity. You and I have very similar backgrounds today, but I think we both came from two very different places. Where I started my career more was on the lighter, fun side of it, is marketing and promotions in music entertainment. I dabbled in music entertainment, promotions. I was a club promoter. I was a concert promoter for a while, really trying to figure out different ways to grab people’s attention, to build campaigns, and to drive results, which were really ticket sales, and drive attendance. With that, it’s one of those things where you have to be really resourceful. You have to do everything you can to draw that attention to really capture that moment. I really learned how to get down, roll my sleeves up, and learn how to do e-mail marketing. I learned how to do campaigns. I learned how to do print, radio, and really started to dabble into websites. I didn’t really come from the technical side, but then I got that opportunity and I think that’s a big one. Somebody gave me the opportunity to learn more and to try more. With that, I slowly learned search, I learned paid search, I learned SEO, I learned corporate style e-mail marketing, print advertising, campaign management, vendor management. I think that’s also a big one for digital marketing is understanding vendor management too … Affiliate marketing and segment marketing … I got into social media. I really just tried new things. There were times when I crashed and burned, and there are times when I was really successful and I’d try to repeat it. Some things repeated well, some things did not repeat well and I crashed and burned again, but the thing is I slowly tried new things. It’s always me seeking out … Like I said, being a manager is a big deal because if they give you that chance to really try new things, to explore your opportunities and explore that digital marketing career, you never know what it’s going to turn into. Like I said, for me going from the music entertainment scene down a technology corporate world, it was really just me understanding how everything worked together. I think the most useful thing about a career, progressing your career, is having a great digital marketing mentor, having somebody that can help guide you through your career and help really explain things and how they work. I dabbled for a few years teaching at the collegiate level digital marketing and I made sure there was a few things my students needed to know. They needed to know the lingo, and they needed to know the channels, and they needed to know the strategies. They needed to know how they all worked together and they talked to each other. I remember you and I both a VP when we worked in the Cloud world, and he was this guy … His job was always to explain to us exactly how things worked. If we were to say, “Hey, what kind of decision do you want to make? How do you want to go with this?” He would gives us his answer and then he would say, “Here’s why I gave you that answer. Here’s the reasoning behind it. Here’s why I didn’t choose this other option. Here’s what I think the expected result is going to be.” Because he taught me how to think, and because he taught me how to really approach things, I think it made me much smarter than I was before, ten years ago. I think seeing that … It’s really finding an opportunity to see your career progressed, but also trying new things, and testing new things, and seeing where it takes you, because five, ten years from now, we could be focusing on other aspects of digital that we had no clue were a big deal. Sameer Khan: Absolutely. That’s great. Fantastic. Jeremy Roberts: I think this is great. This is a fantastic topic. Everybody out there listening, if you guys have questions about this, feel free to e-mail, call, text, whatever, comment, reach out to Sameer and I, and just ask us these questions because digital marketing is not going anywhere. When it comes to the business world, it’s going to be one of those careers that’s really going to always have a seat at the table. I’m not saying just at the regular table, but it’s going to have a seat at the management table. Sameer Khan: I absolutely agree, and I think the digital world is going to continue to grow faster. There’s going to be a lot more opportunity for everyone. Jeremy Roberts: Yeah. We’ll close it at that. Thank you for a great topic today. I hope everybody enjoyed it. We’ll see you guys on the air.